For over two decades D.Chandirrasekar Decorations, reigns as one of the finest wedding and corporate event management companies in Chennai. 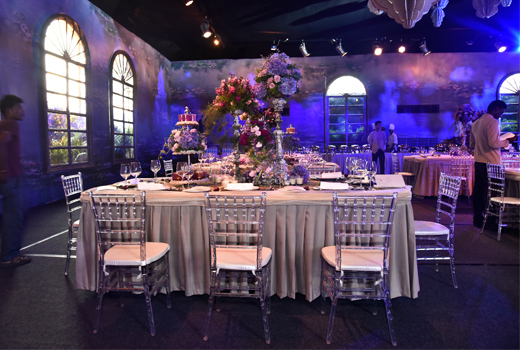 The secret to our success lies in knowing our customers’ vision and needs for the event, right down to the smallest detail so that you, the customer, can live your dreams. We understand that planning an event can be stressful and at times, the host barely has time to play the part of the overseer, leaving them with little to no time to socialise. Our aim is not only to make sure every aspect of your event runs smoothly but also to surprise and impress your guests by your hosting abilities. As one of the top event management companies in Chennai, as well as being one of the most versatile, no event is too big or too small for us to undertake. Tired of searching for event decorators in Chennai and coming across shady, overprice deals with no guarantee of quality? Don’t worry. We are here to save the day! At D.Chandirrasekar Decorations, we recognise that the needs of each customer are as unique as their personality. With our tried and tested nifty bag of tricks, outstanding plans to fit every budget and our team of expert managers, venue decorators, it is no wonder that we are one of the best event organisers in Chennai. Our professional corporate event organizers in Chennai will help you keep on top of what needs to be done for your event, so that you are free to do the more important things – like meeting and greeting people and catching up with long lost friends. With all your festivity needs under one roof, making your corporate or personal event the talk of the town has never been easier with one of the best event management companies in Chennai. Drop us an email or give us a call to get the most competitive prices.